Android android theme customize flair make it your own megaman nova launcher themes theming Have you thought about theming your android device to give it some flair? Have you thought about theming your android device to give it some flair? I’m sure you’ve thought about at one point or another and it’s time to take this into your hands and give your android device a facelift. I’ve created this android theme with various parts and you’ll be able to do the same. One of the first thing you’ll need to start this journey is a custom launcher that will replace the default one you may be currently using. I personally use Nova Launcher and Apex, both of these provide a wide array of choices when it comes to building a theme on your device. Before we go further ahead, you also have an alternative like; Themer, CM, Xpose, KLWP, Zooper Widget Pro etc. My focus is not on the above, but more basic that anyone can do and apply easily. I’m going to focus on Nova Launcher since this is the one I’m currently using for most of the themes I put together. 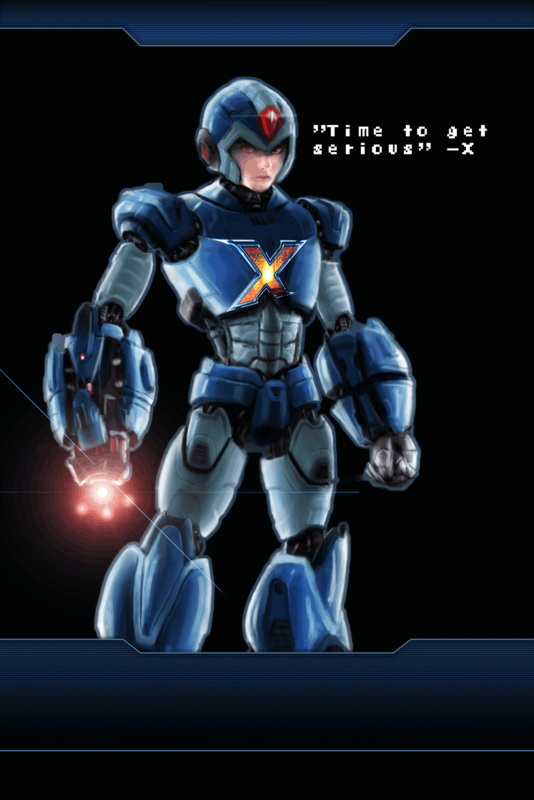 I currently am sporting a Megaman X theme that I created from nothing. Various elements from around the internet have been put together to bring what I’m currently using. Let’s start by looking at the screen capture and point out what we see. 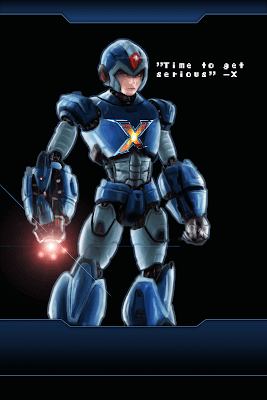 I’ve created the top header banner for the screen to make it look like a door panel, you are then greeted by Megaman X. 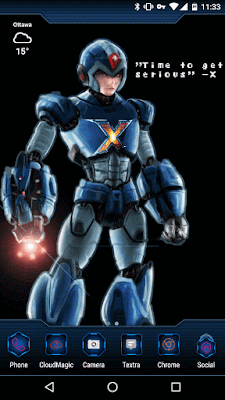 The X on the chest plate was added, it was there on the initial picture. Top left we have the weather outside. At the bottom, we have that similar panel with a set of icons that I thought fit well with the desired theme I’m going for. So far nothing too outrageous right? The wallpaper I’m sure you’ve guessed it, is custom made to fit my screen size and device. The icons pack used is Vaticon. The widget in the top corner is from Weather Timeline. In the event you want to see more, you can check out alternatively www.cryovex.com.